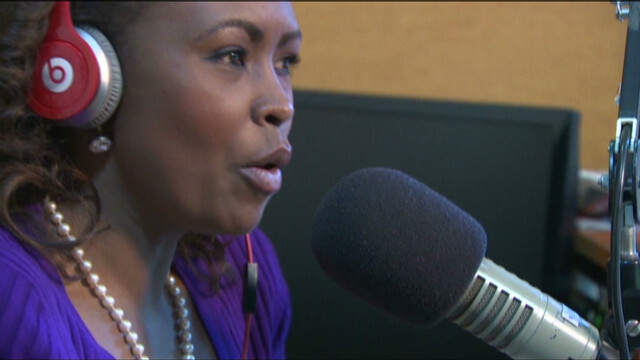 'African women need a hand-up not a hand-out' - Story of Caroline Mutoko, Kenya - 9jabook & Tweeterest Digital Network ! Posted by webmadam iffy on May 25, 2012 at 11:31am in Na Wa O ! Nairobi, Kenya (CNN) -- When I think of the story of African women, I immediately think of my mother and I want to use her story as a frame of reference in how African leaders can improve the lives of women. My mother is a huge inspiration to me but sadly, many African women do not have the opportunities that she has. They are the backbone of our nations and their success will lead to the success of Africa. Using this platform afforded to me, I would like to tell our leaders the five things African women need to succeed. I was born to a woman who having completed high school in the early 1970s, got married, had me and went about the business of being a mother and wife. I must have been about seven or eight years old when my mother got her first job as a secretary. Today my mother is Group Human Resources Manager (Kenya, Uganda, Tanzania) for Car & General. She's pursuing a degree in clinical psychology. I think I should mention that my mother went back to school at 50. She turned 60 in February 2012. It can never be said enough. Nowhere is it as clear as it is in Africa that educating a woman is educating a nation. My mother is who she is today and my siblings and I have turned out to be who we are because she went out at the age of 50, sat in the same room as people half her age, so she could learn. She already had a job she was great at but she had a thirst for knowledge. The African woman needs to be able to fend not just for herself but also for her children. This is something my mother always drummed into me and I am largely my mother's daughter; driven, focused but also determined to be financially independent. Nowhere is it as clear as it is in Africa that educating a woman is educating a nation. In my early 20s, I couldn't figure out why she went on and on about getting a job, being good at it and earning my own money -- but today in my 30s I get it. What drives me crazy about the policy around this is that money is never allocated in a way that benefits women and home first. Instead, it feeds a handout mentality, we never give women a hand up. It's a really horrible cycle. This is why I'm very proud of what my mother did. If you can give a woman a hand up and she can stand, she'll help another woman too. Anytime I go to an area where there's poverty, we never give just money, we give seeds so they can plant or animals they can rear. I'm involved in a greenhouse project for the areas where the land is dry. The people always have to pay us back in produce and even when they are done paying, they are so excited because they have money in their pockets, you would think they were Bill Gates. That is what happens when you empower a woman. You cannot become what you cannot see...Don't just tell women what is possible, show them. My mother had a job that gave her medical cover and hence access to doctors and healthcare facilities for herself and us. For as long as I can remember my mother took charge of our health. My brother [John] was born with a blockage in one of his lungs and had the worst case of asthma I knew of, but mum's health cover took care of that and John's subsequent health needs, as he battled with asthma throughout his teens. She was a better mum not because she understood medicine, but because she had access to health facilities and doctors. Too many women are forced to watch their children die, even from the simplest, most treatable illnesses, simply because of poor access to healthcare. In a world where women have such few role models -- looking at my mum whose mother tilled the land -- she had no way of doing better for herself or charting a bigger and better path for me and my siblings, if it wasn't for the exposure to a wider world that she got through the working. You cannot become what you cannot see. Today, mum pursues her dream in clinical psychology and supports a daughter who chose to adopt because my mum is more exposed to different circumstances than most. Don't just tell women what is possible, show them. When all else is gone, nothing remains but hope. If my mother had written this piece, she would say pray and work. To an international audience , I call it hope with a purpose. As long as we give the women of Africa hope, so long as we don't tread on their dreams and those they have for their children -- these women will rise and with them their children and right alongside them this continent. Today, the daughter of Rose Mutoko stares at the world through the lenses of CNN. Who would have thunk it?